Locking ring binder opens and closes the no-pinch rings with the touch of one finger. Lock instantly engages when closed, eliminating two-handed, two-step operation, earning the "Ease-of-Use" Commendation from the Arthritis Foundation. 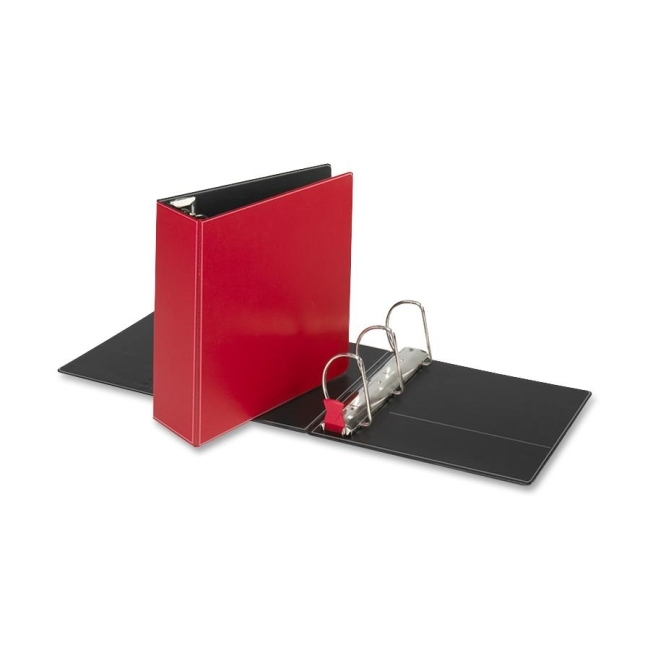 Slant-D rings hold 25 percent more than standard round-ring binders. Transfer-safe material will not damage photos or documents. Binder also includes horizontal inside pockets.